Stampin Up news and card class tonight! Don't miss Stampin Up's Buy 3, Get 1 Free Designer Series paper sale, when you buy three packages of Designer Series Paper you get one free! That’s great news since everyone can use more Designer Series Paper. This sale includes Designer Series Paper from both the annual catalog and the holiday catalog (not including Specialty Designer Series Paper or Designer Series Paper Stacks). Sale ends October 31st. Order today! TONIGHT -- Tuesday October 25th, 7-9pm, card themes are get well/sympathy and birthday; make 4 card (2 each of 2 designs). Cost is $10 (or free with a minimum order). Thursday, November 3, 7-9pm, card themes TBD. Cost is $10 (or free with a minimum order). Monday, November 14, 7-9pm, card themes TBD. Cost is $10 (or free with a minimum order). Tuesday November 29th, 7-9pm, card themes TBD. Cost is $10 (or free with a minimum order). Monday, December 5th, 7-9pm, make the Tin of Tags kit, 30 tags (3 each of 10 designs). I'll supply infks and stamps. Cost is $25 which includes the kit and tin; payment is due no later than November 21st to reserved your spot. Christmas Stamp-a-Stack save the date(s)! Four dates available: Friday or Saturday Nov 11-12 and Friday or Saturday Nov 18-19. Make 16 cards, 4 each of 4 designs, for $40. Friday sessions start as early as 5pm, end at 10pm; Saturday sessions are 10am-1pm. Cost includes pack of Designer Series Specialty Paper (DSP) and a coordinating cardstock pack. The cards for each Fri/Sat session will be different; the first session (Nov 11-12) features This is Christmas specialty DSP and coordinating cardstock, the next session (Nov 18-19) features Candy Cane Lane DSP and coordinating cardstock. Take the leftovers home and make more cards! Last call for RSVPs--RSVP with payment no later than tomorrow, Wednesday, October 26th. Don't miss out, RSVP today! Choose me as your Stampin Up demo when you subscribe (or use the link below to automatically select me) and you get a free crafting night every month. Bring your kit to my house and get your pumpkin on! Pumpkin kit night is held at the end of the month, 7-9pm; the upcoming Pumpkin nights are October 28th, November 30th, and December 30th. Click here to subscribe (links to me) and join the fun. But wait, there are more perks for subscribing! Only kit subscribers can purchase kit refills and additional kits (while supplies last). Sign up today! It's Christmas stamp-a-stack (SAS) time! Four dates available: Friday or Saturday Nov 11-12 and Friday or Saturday Nov 18-19. Friday sessions begin between 5-7pm (arrive when you can) and end at 10pm; Saturday sessions are 10am-1pm. Make 16 Christmas cards, 4 each of 4 designs, for $40. Cost includes envelopes and materials to create 16 beautiful Christmas cards; each participant receives a pack of Designer Series Specialty Paper (DSP) and a pack of coordinating cardstock. The cards for each Fri/Sat session will be different; the first session (Nov 11-12) features This is Christmas DSP and coordinating cardstock, the next session (Nov 18-19) features Candy Cane Lane DSP and coordinating cardstock. Take the leftovers home and make more cards! Your SAS spot is reserved when I receive your class fee; space is limited, so get your payment to me no later than October 26th to reserve your spot. Please bring your favorite adhesive. Going on NOW -- World Card Making Day sale and DSP sale! Happy October 1st! Did you know today is World Card Making Day (WCMD)? In honor of this special day, Stampin Up is holding a 5-day sale, October 1-5, on a few card-making essentials--save up to 25%, details below. Don't miss this limited-time sale, order now! But wait October gets even better...October 1 through 31 , when you buy three packages of Designer Series Paper you get one free! That’s great news since everyone can use more Designer Series Paper. This sale includes Designer Series Paper from both the annual catalog and the recently released holiday catalog (not including Specialty Designer Series Paper or Designer Series Paper Stacks). Details below. I'm holding a class on Monday October 3rd, 7-9pm, featuring DSP; learn a few DSP tricks (the curtain fold anyone?). Place your DSP order today! My favorite sale items are 25% off of the Tin of Cards kit and Fast Fuse free with purchase offer. Buy the Tin of Cards kit and join me on Monday October 17th (7-9pm) to make the kit cards for just $5; I'll supply the stamps and inks. Order your kit TODAY! These kits make great gifts--teachers, holiday hostess, family, and friends. Fast Fuse Adhesive by Stampin' Up! Fast Fuse is a super-strong adhesive that bonds instantly and neatly. Safe for memory preservation projects. This is my personal blog and is not endorsed by Stampin' Up! I hope you will find inspiration here and am happy for you to CASE - Copy And Share Eveything - anything, but (pretty) please don't copy my designs for publication or contest submissions! Thank you! 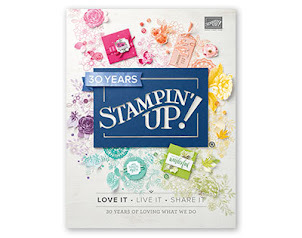 I've been stamping since 1996 when I attended my first Stampin Up workshop and fell in love with their quality products. I became a Stampin Up demonstrator in October 2010 to share my passion for stamping and papercrafting; I want everyone to have as much fun as I do! If you live near Baltimore or Annapolis, I'd be happy to send you information about my upcoming classes.